British comedy film Green Grow the Rushes is based on the 1949 novel of the same name by Howard Clewes. 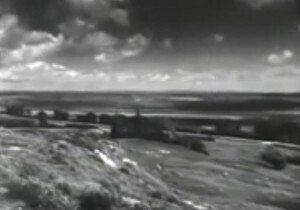 Captain Biddle (Roger Livesey) smuggles alcohol along with Robert (Richard Burton), who poses as a fisherman, but when a reporter, Meg (Honor Blackman), arrives in town as well as a group of Government officials investigating the lack of farming on the marshes, will their scheme be exposed? The film is directed by Derek Twist (Police Dog, Rx For Murder, All Over the Town) and stars Roger Livesey (The Entertainer, A Matter of Life and Death, The League of Gentlemen), Honor Blackman (Goldfinger,The Avengers, Bridget Jones’s Diary) and a young Richard Burton (Anne of the Thousand Days, Nineteen Eighty-Four, Where Eagles Dare). Green Grow the Rushes was filmed in New Romney and on Romney Marsh which double as the town and marshland. Romney Marsh is a unique landscape boasting over 100 square miles of woodland, wetlands plus sand and shingle shores. On the edge of Romney Marsh sits its principal town, New Romney. The area has been used as a filming location for projects such as The Honourable Woman (2014), Great Expectations (2011) and Dr Syn: The Scarecrow of Romney Marsh (1963). Green Grow the Rushes was released in November 1951 and is now available to buy on DVD. 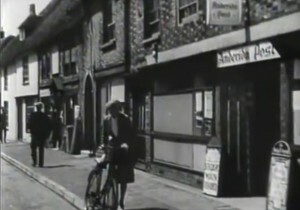 This entry was posted in Filmed in Kent and tagged Derek N. Twist, feature film, Green Grow the Rushes film locations, Honor Blackman, New Romney, Richard Burton, Roger Livesey, Romney Marsh. Bookmark the permalink.